The BH music program is an Orff based curriculum with an emphasis on inspiring students to love music and encouraging their abilities as musicians and composers. Students also explore movement, rhythm and language and learn traditional and contemporary songs, dances and games, frequently integrating with their classroom curricula. 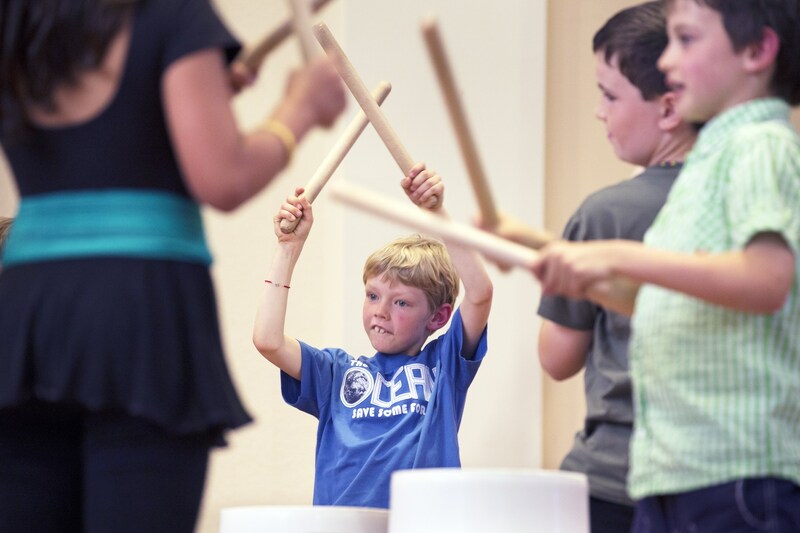 From Kindergarten to second grade, students are introduced to symbols, rhythm, and expression of self through music activities that support the classroom curricula. 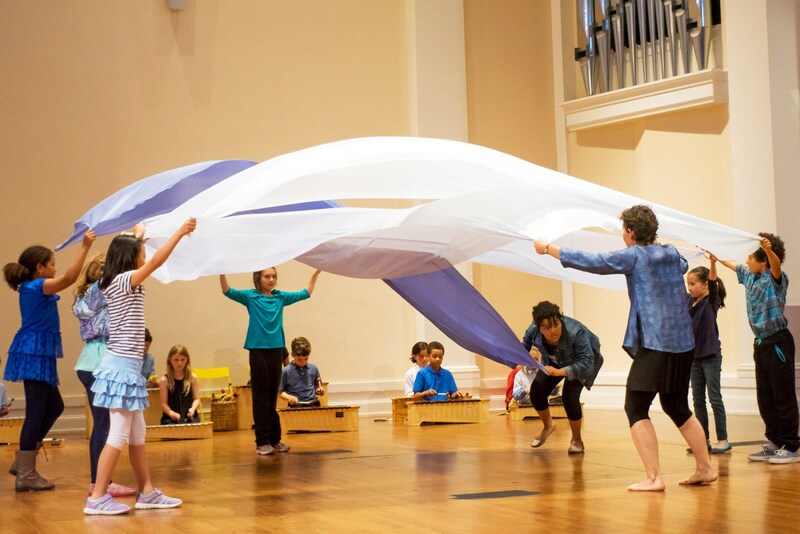 In addition to singing, dancing, and playing cooperative games, students begin to explore music on Orff instruments as well as simple percussion instruments. In third and fourth grade, students continue to play music games, sing songs and create their own music on Orff instruments. Musical notation, terminology, and curriculum connections become more sophisticated. 3rd graders learn to play recorders in addition to increasing their skills on Orff instruments. 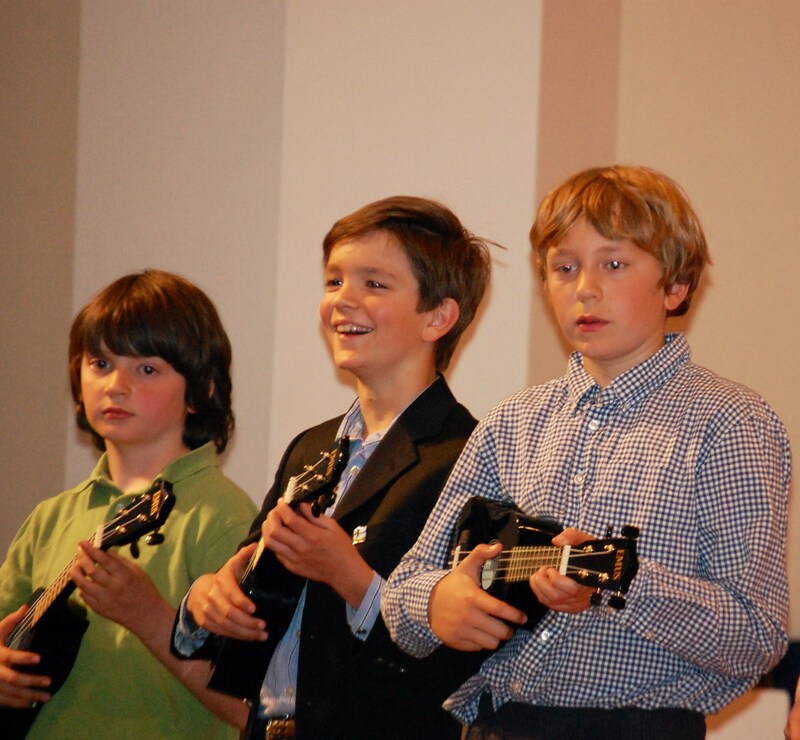 Fifth graders study chord progressions with more depth as they learn to play ukuleles. 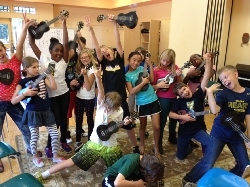 Students gain a deeper understanding of elements of composition as they write their own songs on ukuleles.